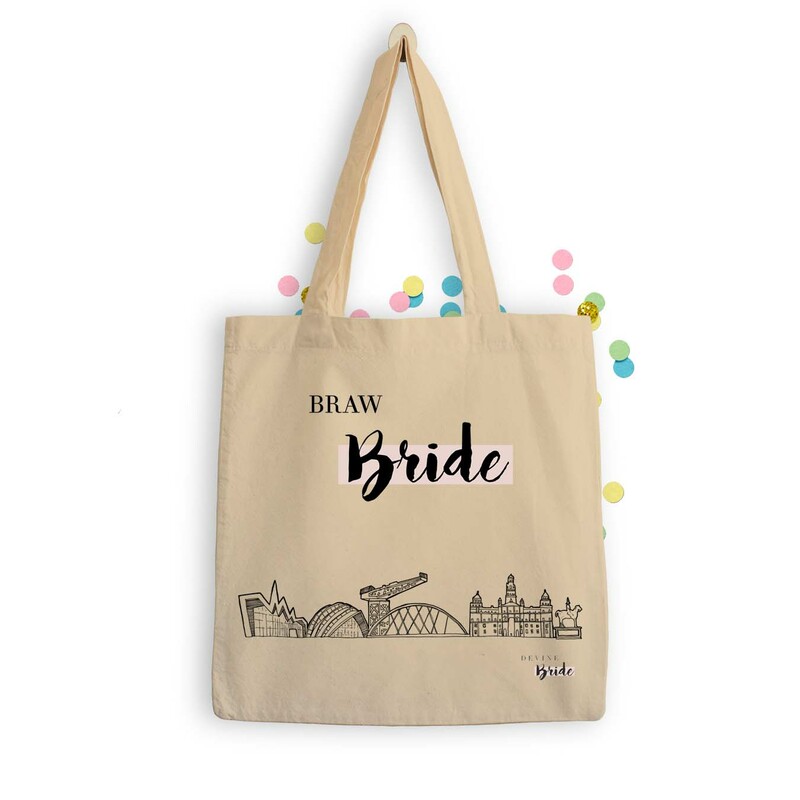 “Braw Bride” Glasgow skyline tote bag. 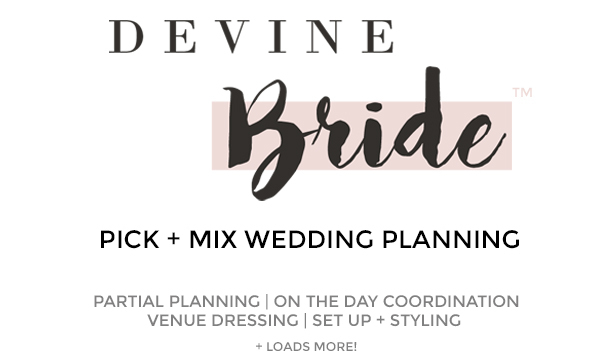 Hand-drawn skyline, with Devine Bride design. 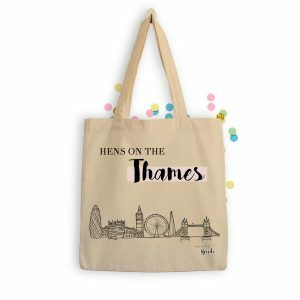 Sustainably made in the UK using local suppliers in London, and hand screen printed. 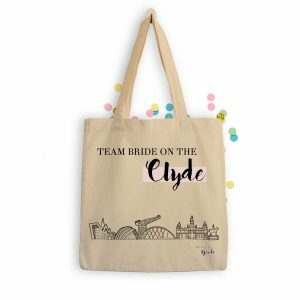 As these totes are hand screen printed, some small natural variances in colour saturation may occur.